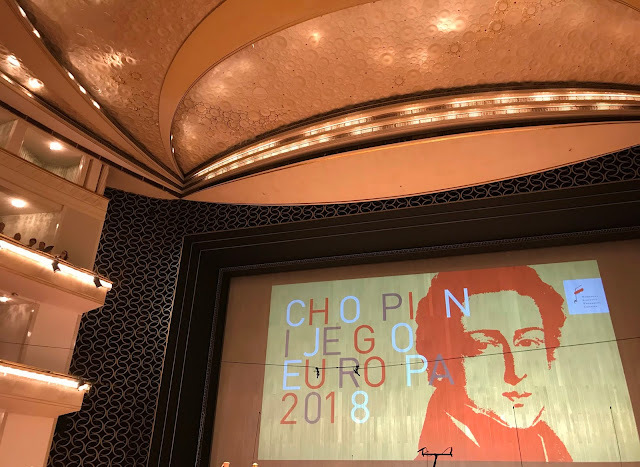 After the Duszniki Zdroj International Chopin Festival (see below) it is always straight into the Chopin i jego Europa (Chopin and His Europe) Festival in Warsaw. The programme this year looks to be as fascinating and imaginative as ever. The musical landscape of Warsaw since I first visited Poland in 1991 has been transformed out of all recognition with regular visits now of international artists of great renown. Much of this is down to the unrelenting, uncompromising and persuasive work of the Artistic Director of this festival, Mr. Stanislaw Leszczynski. There are some notable absences which no doubt have to do with the woeful under-funding of cultural events in this country in favour of sport stadiums and other healthy but scarcely spiritually uplifting activities. Musical and artistic activities are desperately needed in our present world of scarcely believable child murder and insane cruelty. I have decided not to write the only fully detailed blog record in English for this festival this year as I have done in the past. 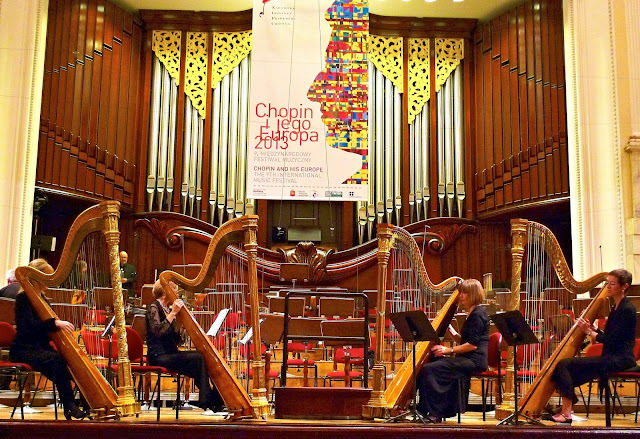 Unlike the Duszniki Zdroj International Chopin Festival where appreciation is considerable, there is not sufficient evidence of interest in my opinion of these outstanding concerts for me to invest the time. I am not some retired old gent looking for occupation! A word of explanation. It is difficult writing such a detailed blog and sending it out into cyberspace, that insatiable vacuum, with no idea of its reception. Normally I keep these musical blogs as a personal journal of past impressions for myself but this year there are constraints. It is a time consuming business writing in the detail I do. I have a deadline for my next book, the commissioned biography of a forgotten concert pianist who happened to be my great-uncle. Any of you who read my blog in detail will already be familiar with this so I shall not bore you once again. Also to attend all the concerts with individual tickets is prohibitively expensive for music lovers (not the most well-heeled of consumers in Poland). A laborious time-consuming booking process is involved (online or personal) for all but the time-rich retired folk amongst us. It is terribly hard to decide on which of the less well-known concerts to attend when one is suddenly presented with this Aladdin's cave of riches and gems. There should be a Karnet as at Duszniki which makes the entire festival available quickly at reasonable cost to the authentic aficionados who would attend everything anyway - like me. More empathy for the mere music lover on the part of the organizers please! I was forced to miss many concerts because of cost considerations mounting up as the numbers of marvellous concerts I wanted to attend increased. Observations on some Festival Highlights I experienced and simply cannot resist writing about...a few choice chocolates from the box. I have heard some magnificent performances, accounts of works that have moved me to the depths in a truly outstanding Chopin i jego Europa festival in 2013. * The opening concert on 15.08 should have been especially choice but I am afraid I found the programme for what after all is a Festival, rather more lugubrious and funereal than festive. Lutoslawski's Musique funebre for string orchestra is undoubtedly a great work but I can think of more joyful works by 'Luto' to open the spectacular parade that was to follow. Nelson Goerner took the place of an ill Dang Thai Son in Chopin's E minor Concerto in superb style as ever. Barry Douglas rose brilliantly to the extreme pianistic demands of Penderecki's Piano Concerto ('The Resurrection') of 2002. Unlike many works by the great Polish composer, this work has caused a great deal of heated discussion. I must confess to finding it lacking in spiritual depth. Its repetitive 'dark interval' is like mood music from a silent horror film of the 1920s, complete with falling bodies. The original conception was of a Capriccio that the composer was engaged upon that he later modified after the shock of the 9/11 catastrophe. According to Penderecki the work was not necessarily dedicated to the victims. Mine is a very personal view not shared by all I expect. Ah well...the mood could only lighten...the Russian National Orchestra were as magnificent as ever in this work particular the brass. * I loved the witty and exuberant Tobias Koch recital on 16.08 of rarely heard rather minor piano works of Polish composers active in Chopin's period (Kurpinski, Dobrzynski, Elsner, Mikuli, Szymanowska) played on three different period instruments. These were interspersed with works by Chopin himself. One could not help but reflect on the canyon that yawns between the composer of talent and the composer of genius. Nietzche once observed with acidic venom that the distance between the ordinary man and the genius is greater than that between the ordinary man and the ape. We finally heard the rarely performed Grand Sonata in A major Op. 4 by Richard Wagner. Well it did go on...and on...and on...although redeeming itself in parts. Thank goodness Grand Opera rather than the piano claimed Richard W.
* I am profoundly privileged to have heard once again the playing of Maria Joao Pires who is committed with every fibre of her diminutive being to the Art of music as opposed to the Career of music as very few musicians today. So deeply moving is this artistic passion...sensitive, perfect pianism of refinement and finesse. The Chamber Concert she gave with the cellist Antonio Meneses on 23.08 was wonderful. I happen to love both the rather light Schubert Arpeggione Sonata and the more profound Brahms Cello Sonata No.1 in E minor, Op. 38. They played both to perfection. As an encore they played the Largo from Chopin's Cello Sonata op. 65 which was as ardent a rendition as might be imagined. 'Technique' is a meaningless word at this level of musicianship unless the term includes every aspect of interpretation in addition to actually playing the notes. Pires also played the 3 Intermezzi Op. 117 by Brahms. The sensitivity, control of tone colour and yearning emotional content were beyond compare. A performance I shall treasure. She is a true 'soul' is Maria Joao Pires. Her performance of the Piano Concerto No. 4 in G major by Beethoven on 25.08 was at the highest level of musical and spiritual achievement. I was reminded of the supreme performance she gave last year of Beethoven's Third Piano Concerto, surely the greatest I shall ever hear. It is difficult for a pianist to be physically as intimate with his instrument (that great machine) as a violinist but here Pires entered the very fabric of the music and communicated this to us in a way that inhabits the world of the extra-sensory and metaphysical. * Martha Argerich played the Beethoven Piano Concerto No.1 in C major, Op.15 last night (28/08) with all the authority and panache that only profound musicality, depth of experience, relaxed virtuosity and sheer electrical energy can bring to a performance. Wild scenes of cheering, instant standing ovation and tumultuous applause erupted. I have never witnessed such an overwhelming response to this early Mozartian/Haydnesque classical concerto ever before. Beethoven was only 26 when he wrote and performed it. She was forced to ask the lead violinist to take the orchestra off the stage after her single encore Of Foreign Lands and People from Robert Schumann's Kinderszenen. Nelson Freire was intuitively superb in Falla's Nights in the Gardens of Spain with a range of Latin colour, rhythm and timbre - supreme keyboard command that took my breath away. His recital on 26.08 was similarly impressive. Apart from the Brahms Capriccio in D minor, a group of Intermezzi Op. 116 & 119 and the Ballade in G minor op. 118 the programme had a ravishingly peformed piece of Granados Quejas o la Maja y el Ruisenor from Goyescas. Oh that he had played the entire Granados cycle with such intuitive, idiomatic understanding! A moment of brief enchantment. Then there was a change of programme which meant a tremendous treat. Mr. Stanislaw Leszczynski, the Artistic Director, mentioned to me in his winning way that he had read my glowing account of Federico Colli at Duszniki Zdroj this year and decided to engage him to play the work that he performed when he won the Leeds Piano Competition last year - the Beethoven 'Emperor' Concerto. Can this be true? I hope he liked this account of such a monumental work. For me this was a very fine performance indeed, the interpretation of which had clearly been rethought entirely by Colli with some surprisingly beautiful results. It may not be everyone's Beethoven of course but it is evident to all but the deaf that this is a massive young talent beginning to bloom. Signore Colli did not deny us the visual splendour of The Dandy either - a flowing white tailcoat (slightly too large in my sartorial opinion), gold silk foulard with white shirt, black evening trousers and black patent leather shoes. But the playing was brilliant. For me 'the jury is still out' on the conducting of Jacek Kaspszyk. The Polish National Radio Symphony Orchestra of Katowice were a competent ensemble under his baton but no more than that. For me they lacked any distinction and rhythmic elan particularly in the Manuel de Falla. Some solo instrumental entries in the Beethoven desperately needed more work. * I keenly anticipated Nicholas Angelich playing the Brahms Piano Concerto No.2 in B-flat major on 29.08 as last year I was completely overwhelmed by his account of No.1. Again Angelich erected the great structure of the second concerto until it lay before us resplendent, monumental and awesome (to use that over-used word in its true rather than popular meaning). He is a large man, with a powerful yet not abrasive tone, complete technique and in full command of those elusive uncompromising masculine emotions balanced by a lyric gift that Brahms requires of a pianist - strong coffee and cigars with a snifter of cognac fuelling a nostalgic yearning for the unattainable. This was preceded by one of the greatest masterpieces of twentieth century music, Lutoslawski's Symphony No.3 and a moving work, Three Songs to Poems by Jan Kasprowicz Op. 5 (1902) by Karol Szymanowski orchestrated by Grzegorz Fitelberg. I had never heard this work before and the magnificent music and radiant Expressionist poetic language of these poems coupled with the imposing and noble voice of Ewa Podles made for an extraordinary musical experience not given to many. Ah, nostalgia for such times when one did not feel forced to apologize for being serious about life, death and one's destiny. * I had never heard the new English Wunderkind Benjamin Grosvenor (no not a Russian surprise, surprise) who on 30.08 performed the rarely heard but witty, caustic and exuberant Piano Concerto Op. 13 (1938) by that other Benjamin, Benjamin Britten. So rarely is any English music performed in Poland! I particularly love Britten's ironical and iconoclastic comment on the nature of 'the military' in the Final movement entitled March (Allegro moderato a la marcia). It was of course as relevant in 1938 when the work was composed, when war seemed inevitable, as it is now. Listen to this movement bearing in mind all the absurd and dangerous macho posturing and sabre-rattling taking place at present in the world. A pathetic display of the lowest aspects of human nature. A grim and murderous piece in the repertoire of the Theatre of the Absurd we are forced to witness daily. The humour of this concerto is a useful corrective to depression. The slight figure of Grosvenor is an extraordinary phenomenon who seems to be effortlessly in control of everything he plays - I am speechless with admiration of the musicality and keyboard wizardry of this young man. Even his intuitive jazz sense was obvious in elements of this work particularly the Waltz. The Polish National Radio Orchestra in Katowice under their fine Principal Conductor Alexander Liebreich were excellent dynamically and rhythmically and worked well with the pianist in a piece they could not have been so familiar with. Many in the string section were also smiling broadly during the March. In a piece of absolutely inspired programming by Mr. Leszczynski (or did the pianist suggest it himself), Nelson Goerner was to play not another exquisite concerto by Chopin, Bach or Mozart on a period instrument, perhaps a Schubert Quintet carefully considered, brilliant in articulation and refined in outlook, but of all things, the Tchaikovsky Piano Concerto No.1 in B flat major, Op. 23 ! Whaaaaaat! I simply could not believe it...but anticipated hearing it madly. After all those wonderful series of historic recordings and performances he has made for the Chopin Institute I have heard, how even why could this be? I really did wonder what he would make of this Foundation Stone of the concerto repertoire. Would he achieve the huge tone required, the virtuosity and power after the hundreds of versions 'out there' performed by just every virtuoso under the sun? OMG! Well, I thought it was a brilliant performance with rushing octaves taken at a suicidal speed, risk-taking galore, tremendous tone in the Allegro con fuoco, exuberance and a beautiful singing lyricism in the Andante. What a pianist he is! You know when you have a close friend and he suddenly reveals a side to his nature you never in your wildest dreams imagine existed - say a short-sighted research librarian who suddenly reveals he drives a Ferrari Testarossa - well it was like that! I was blown away by his command of this great piece which I had never remotely associated with his sensibility. I enjoyed this as I have not enjoyed a concerto performance for years. Absolutely marvelous but I was only one of a very few giving him a standing ovation punching the air - forgive them Lord for they know not what they hear! * The final concert of the festival ended on a brilliant and spectacular note, the like of which I shall always remember as one of the great musical experiences of my life. Sir Roger Norrington conducting the Orchestra of the Age of Enlightenment in the Berlioz Symphonie fantastique on original instruments. ‘Sir Norrington’ is such a character in his black Mandarin outfit engaging the audience during the course of the various works with sly winks, waves and at the end a military salute. All sorts of ‘We are giving you a gift’ gestures after the Concert Overture Bajka by Moniuszko. The OAE seemed to like playing this piece very much. However the Chopin E minor Concerto with Nikolai Demidenko left a lot to be desired. The transfer from a concert Steinway to the period piano is fraught with many dangers even for those familiar with the technical accommodation required in the muscular memory, lighter action and shorter keys. That is all I would like to say of the performance by this great virtuoso pianist and musician. The dynamic balance of the period piano with the early instruments was completely out – in particular the mournful natural horn counterpoint with the piano in the Larghetto - disturbingly, even comically, loud which ruined the ardent nature of that melody which Demidenko played with such fine tone, touch, lyricism and love. No real understanding tonight of le climat de Chopin as Princess Marcelina Czartoryska might have put it long ago in Paris. Unlike the Berlioz which was mindboggling. What a genius at orchestration was Hector Berlioz! That is clear in this brilliant account of the Symphonie fantastique with the unique timbre of early wind and brass instruments taking us into unfamiliar realms of sound with connotations never before explored. Un Bal with four period harps ranged at the front of the stage was charming and Norrington captured the waltz rhythm to perfection. The shepherd’s pipe and whatnot in the countryside scene was hauntingly beautiful. The March to the Scaffold was overwhelming with atmospheric drum rolls and ominous, pregnant silences. The tuttis like gunshots. Fabulous. Words fail me – a revelatory performance in the truest sense of that word. Mr. Stanislaw Leszczynski, the Artistic Director, is to be heartily congratulated on putting together a magnificent array of works and artists, a tremendously courageous achievement in the face of his own significant personal difficulties. Brilliant in a word. The thick festival programme book with well-informed voluminous notes in both Polish and English is a magnificent achievement of musicology and information in itself (and it is certainly a book at 400 odd pages not a mere brochure). 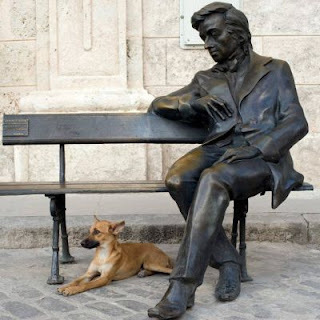 I would love to see some English music of Chopin's time included in the festival. 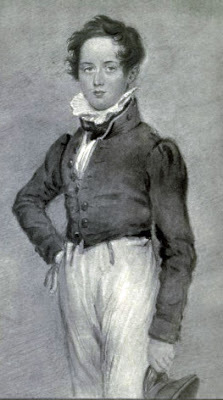 The composer that immediately springs to mind is William Sterndale Bennett (1816-1875). Both Mendelssohn and Schumann admired his compositions greatly and he was a close friend of both. Bennett was a fine concert pianist who loved Mozart above all and performed a great deal of Bach as a pianist at a time when this was rare. He spent three winters composing and performing in Leipzig. He is not better known as he spent too much of his life teaching and conscientiously fulfilling his duties as Principal of the Royal Academy of Music in London. He completed some 80 published compositions many for the piano which are of great technical difficulty. The most popular works are the overture The Naiades, Op 15, the Chamber Trio Op 26, and the marvellous Piano Concerto No. 4 in F minor, Op 19. The Piano Concerto in F minor would be perfect for this festival performed on a period instrument by Howard Shelley who is a highly respected and welcome regular performer here. Howard Shelley gives a fine performance of the elegantly tuneful and rather Mendelssohnian Piano Concerto No 4 in F minor Op. 19 with the BBC Scottish Symphony Orchestra on CD No. 43 of the great Hyperion series devoted to The Romantic Piano Concerto. Also on the disc are two other accomplished works by the composer-pianist and the never before heard Piano Concerto in E major Op.18 by another forgotten (but not as distinguished) English composer Francis Edward Bache (1833-1858). The festival goes from strength to strength achieving the greatest international prestige. It succeeds despite insufficient financial assistance. All my critical remarks in previous postings concerning the parsimonious attitude to cultural funding in Poland on the part of the government still stand undiminished. Too many politicians here appear to be cultural Philistines. But then the general intellectual climate throughout much of the world at present shows an appalling retreat from the life of the the mind.